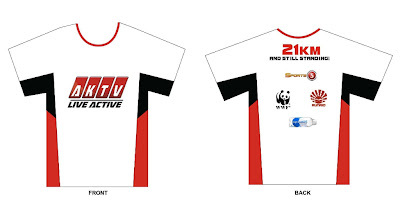 Just in time before it started heating our nights of viewing with its hard-hitting and fresh sports coverage, IBC 13's AKTV, which will be showing different sports and lifestyle show, invites everyone to join a day of active lifestyle through their AKTV Run. 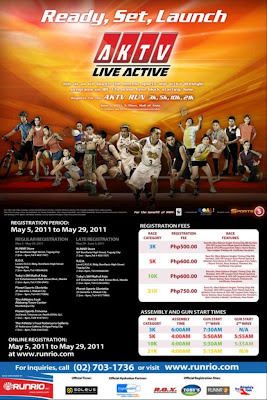 Happening this coming June 5, 2011 at SM Mall of Asia, running enthusiasts and professionals are encourage to join their 3K, 5K, 10K and 21K run to promote healthy living and active lifestyle to everyone. And last week, as I attended their press launch, IBC 13 discussed their exciting line-ups of amazing sports shows, which are filling their prime time block. So, this is really something any sports fan should watch out for. 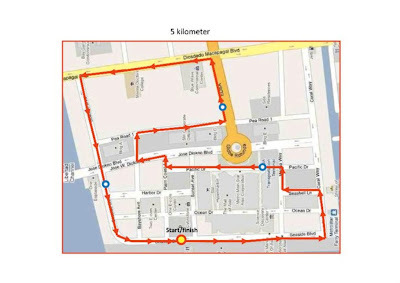 Going back to the race, 3K run fee is Php450.00 and you'll receive race kits (bib number and timing chip, singlet), discount coupon from Planet Sports, Toby’s and RUNNR Store. 5K run fee is Php600.00 and you'll receive race kits (bib number and timing chip, Singlet), finisher’s kit, race analysis and discount coupon from Toby’s, RUNNR and Planet Sports. 10K run fee is also Php600.00 and you'll receive race kits (bib number and timing chip, singlet), finisher’s kit, race analysis and discount coupon from Toby’s, RUNNR and Planet Sports. And lastly, the 21K run fee and you'll receive race kits (bib number and timing chip, singlet), finisher’s kit, race analysis, finisher’s medal, finisher’s shirt and discount coupon from Toby’s, RUNNR and Planet Sports. 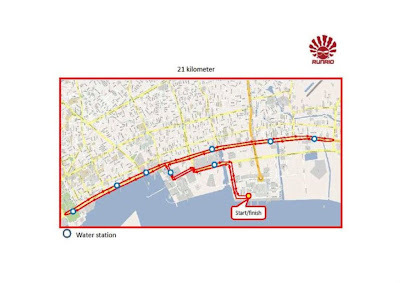 Please check the maps below to seethe route of this run. 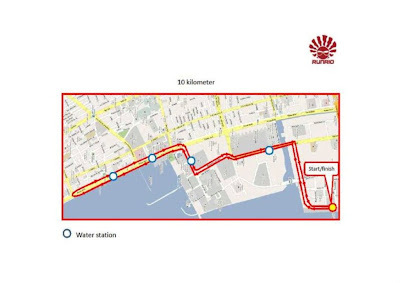 Assembly will be 4 o'clock in the morning and the runners for 21K will start this exciting event as the clock ticks at 5:15 a.m., followed by 10K runners at 5:30 a.m., then 5K runners at 5:50 a.m., and finally, the 3K runners at 6:00 a.m. 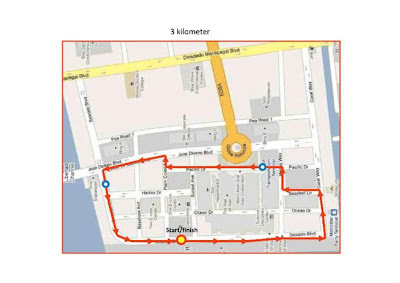 Known Filipino healthy lifestyle and sports champions will also join this race. Interested participants can register at R.O.X., Toby’s SM Mall of Asia and Planet Sports Trinoma until the 29th of May. Though, registration may end earlier than announced deadline therefore; race kits may run out before May 29, 2010. World Wildlife Fund (WWF) will the beneficiary of this race. So, see you all there!